Energy gels are the proven means of refueling on the go. SiS make fair claim that their GO Isotonic Energy Gel offers these benefits faster to help you beat the bonk. This variety pack of seven gels gives you an opportunity to enjoy seven different flavours (because it's easy to tire of just one). We don't claim to be sports scientists so we'll leave it to SiS to describe the benefits of their isotonic gels. The term Isotonic is related to the concentration of dissolved particles in a solution in comparison to the concentration of dissolved particles within cells in the body. This affects water transportation across cell membranes and ultimately how quickly the gel can be used as an energy source. The concentration of dissolved particles in blood plasma cells is tightly regulated within a narrow range and for a gel to be described as Isotonic it must also be within this range. SiS GO Isotonic gels are made up of the carbohydrate maltodextrin and are specifically designed to fit this description, which ensures they are rapidly transported. This means that you will feel the performance benefits of taking on a SiS gel far more quickly than when a non-isotonic gel is consumed. The term isotonic is related to the concentration of dissolved particles within a solution (e.g. the gel) that can generate an osmotic pressure (known as osmolality). Osmotic pressure is what causes the movement of water between cells. SiS GO Isotonic gels have an equal concentration of dissolved particles to that of blood plasma cells therefore no osmotic pressure is generated. This means that water can move freely in both directions through the cell membranes. If this were a hypotonic or hypertonic solution then an osmotic pressure would be generated meaning water either moves in or out of the cells to create an even concentration of dissolved particles on either side of the membrane. This affects how quickly the gel can supply energy. What are the Benefits of carbohydrate during exercise? Carbohydrate is especially important when exercising for longer than one hour and becomes increasingly important as event duration increases. Carbohydrate intake up to 60 grams per hour is optimal for the body to metabolize. However, if you are completing an ultra endurance event then up to 90 grams per hour can be consumed. 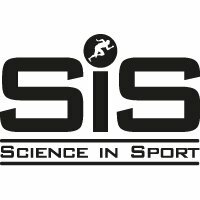 Are SiS GO Isotonic Gels practical for during exercise? Gels are a highly practical way to ingest carbohydrate, as they are light and easy to carry in jersey pockets or race belts. SiS GO Isotonic Gels provide an appropriate quantity of carbohydrate (20 g), are light on the stomach and highly effective in providing a rapid energy supply to the working muscles. SiS Gels are designed to be consumed without water, avoiding the bulk of carrying additional bottles. When should I take SiS GO Isotonic Gels?